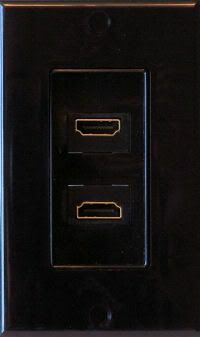 The HDMI Dual wall plate allows you terminate HDMI connector for in-wall connections. HDMI Feed through Wall Plates are a must have for your home theater installation. They come in 1 or 2 Port (1 port are available in our store) configurations and are Feed through so you just plug in and go. 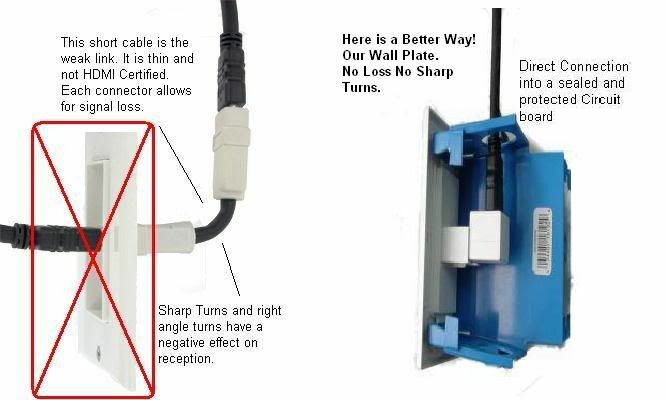 HDMI Feed through wall plates are great for hiding your cables in the wall for a clean look behind your Audio/Video System.